TV's favourite family recently reunited for a viral group selfie. Alfonso Ribeiro, the actor who played 'Carlton Banks' in 'The Fresh Prince Of Bel Air' has revealed why the cast will "never" reunite. Fans of the hit US sitcom were hit with some serious nostalgia earlier this month after the famous TV family got together for a selfie. Ribeiro stood side by side with his former cast mates, including Tatyana Ali (Ashley), Karyn Parsons (Hilary), Daphne Maxwell Reid (Vivian) and Joseph Marcell (Geoffrey) . 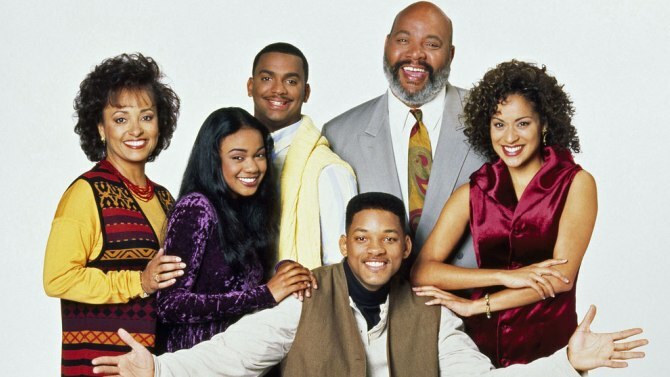 James Avery, who played Uncle Phil, sadly passed away in 2013, and both cast and viewers of the show commented on the absence of the universally-adored character and actor. Talking on U.S. breakfast show 'Today', Ribeiro notes this as one of the reasons he and the cast will "never" sign up for a reunion. "The reason why I always say we will never do any episodes again is simply because…" Alfonso began. "The show doesn’t work without James Avery, and with his passing, it just felt like that was the final like, 'Nah,'" the actor said. "He was the bass. It’s like, you have music and it’s just all treble (without him). You gotta have that bass." Taking a similar stance, Will Smith recently admitted he had no intentions of reviving his lead role. "I'm not doing it," the actor told Entertainment Tonight. "If somebody wanted to (take over the role), I would probably let them, but I have no intention." While the response to the group's latest selfie was largely positive, it did reignite a long-standing feud between Smith and Ribeiro and one former cast mate in particular. Janet Hubert-Whitten portrayed Aunt Viv in the first three seasons, before her attitude reportedly lead to the violation and, ultimately, termination of her contract. The actress recently embarked on a series of foul-mouthed rants, labelling Smith an "a**hole" and Ribeiro a "media h*e".